Travel Pics Theme: E for Eating. Exploding cake, Xian. The theme for our ‪‎travel pics this week is E, for Eating. It’s my birthday today but this is NOT my cake – nor my candle. 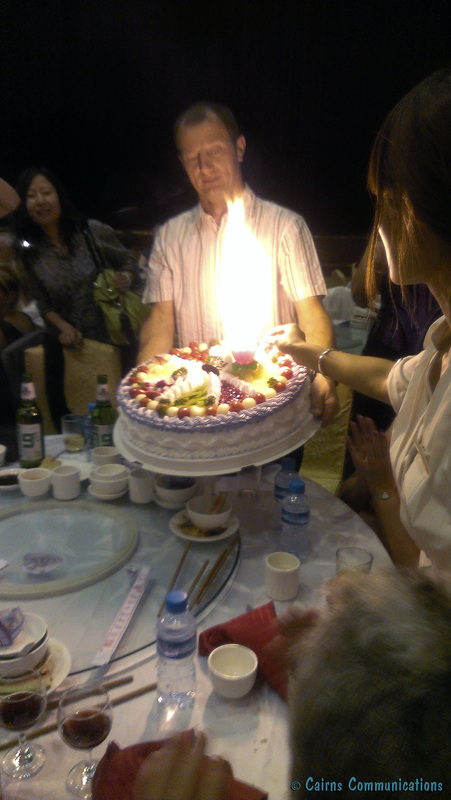 It’s actually a fireworks candle on a cake that was prepared for a fellow package tour participant in China a couple of years back. Anyway, it was someone’s birthday, and this was the cake. The really worrying part was that having seen the havoc that could be wrought by the fireworks candle, a number of my fellow travellers went out and bought them the next day, to take home. I wonder how many declared them to customs?